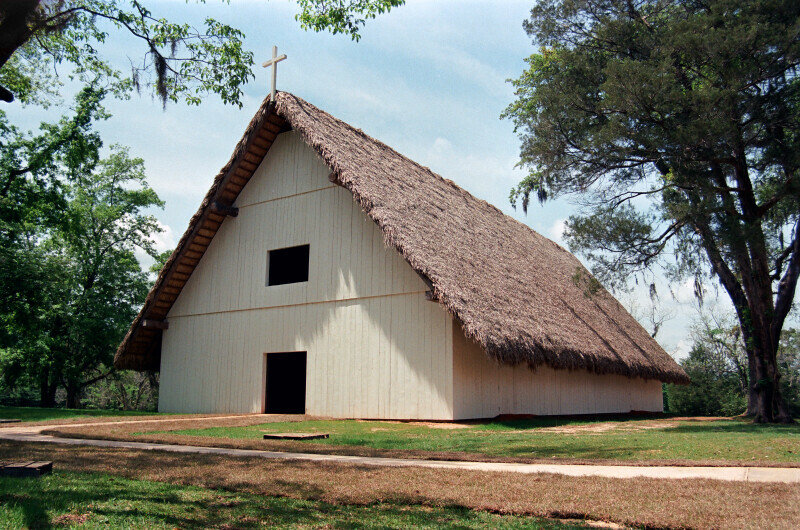 A view of the front exterior of the reconstructed church at Mission San Luis de Apalachee. The sky is a clear blue overhead. WARNING: You are about to download a 66.9 MB TIFF!